Most states require all schools to display the American flag in the classroom and many also require display of state flags. 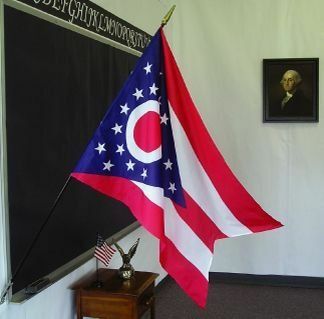 AmericanFlags.com is proud to feature 2' X 3' mounted classroom state flags and they are all on sale now. Our mounted classroom flags are Made in America and ready for immediate shipping to your door.